Stewartry Care share their EO story: it’s award-winning! 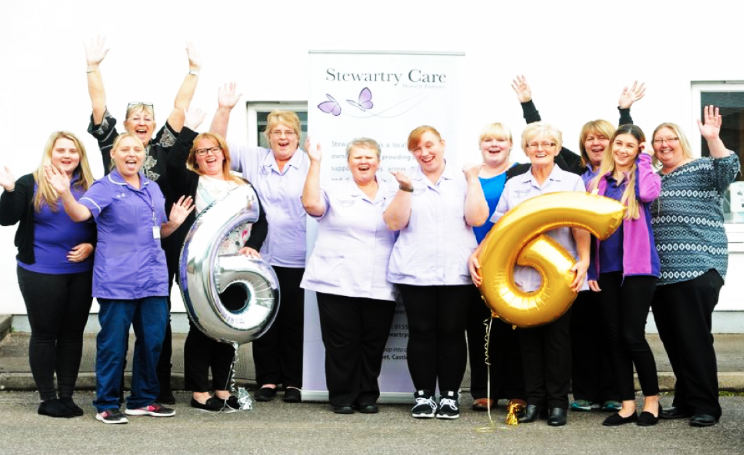 In celebration of EO Day, we’re delighted to be shining a spotlight on an excellent social enterprise – Stewartry Care – who were pioneers in Employee Ownership when we helped them transition their care business way back in 2004. Showing that the benefits of Employee Ownership are enduring, Stewartry Care have just been crowned Scotland’s Care at Home Provider of the Year, and also named Dumfries and Galloway’s Outstanding Social Enterprise. This is not surprising since they were recently awarded two grade 6s (Excellent – the highest possible grade) from the Care Inspectorate. “Employee ownership has allowed us to get the grades we have,” says Debbie Cochrane, Managing Director. The team provide a high level of much-needed care at home to elderly, disabled and vulnerable people, maximising their users’ wellbeing. 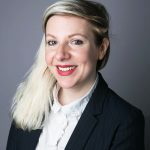 Stewarty Care are particularly special because they focus on individual needs, expertly building care plans around each person – something reflected in the glowing feedback they receive from both users and users’ families. They help people to stay in their own homes and communities, boosting independence and allowing present lifestyles to be maintained – all of which has a huge impact on quality of life. Their focus on people as individuals permeates their internal culture too. “We are not a team just because we work together. We are a team because we respect, trust and care for each other,” says Debbie. “Employee ownership is really working for us as a model. We have staff sitting on the board and involved in business planning. It allows us to make the right choices, and our retention of staff is significantly higher now. Employee ownership has also given them the flexibility to diversify – adding new foot care and responder services – allowing for growth. We completely support that, and can’t wait to hear what the rest of the year has in store for them. If you are interested in hearing more about Employee ownership and ownership cultures, we’d love to talk to you. You can also watch our brand new video for more information. Share your ownership story to celebrate #EODay and help the sector make some noise!